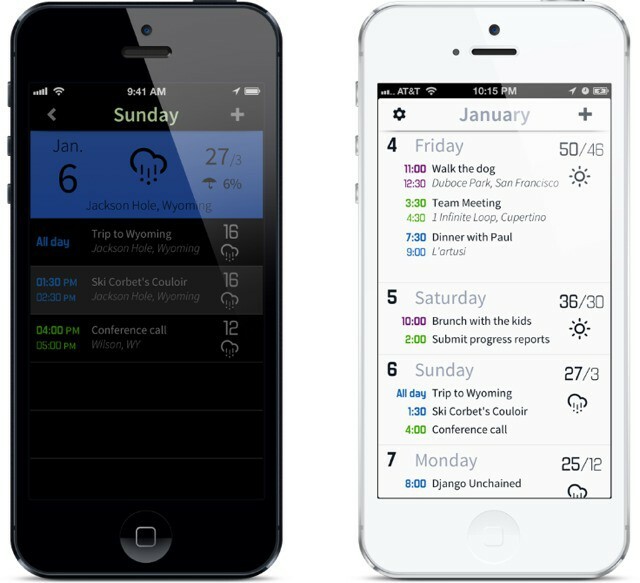 I was thinking that I’d make an incredibly clever play on the Wash’n’Go ads here, drawing a comparison between the new Horizon app, which lets you check the weather and your calendar at the same time. “Use two apps when you leave the house?” I would ask, before wrestling with the punchline, and somehow turning the original “Not me – I just want to Wash… And Go!” into something clever and calendar/weather related. Horizon puts a 14-day forecast right there in your calendar, showing the conditions and high/low temperatures with added emphasis (read:size) for today. You can also choose to ignore empty days, view in degrees Celsius and use a 24-hour clock, as any smart human would want to do in this year of 2013. Plenty of desktop calendars will add the weather into the mix, but Horizon does it with such clean good looks that I like it quite a lot. And even though a two-week forecast is never going to be very accurate, it’s dead handy to have a rough guide as you plan your days. I have spent far too much on calendar apps in the past, though, so I’m going to wait for an iPad-native version before I drop my $3 on this one (for the record, I’m a Fantastical fan on the iPhone). And damn this coffee is delicious.